Orchids are the tropical flowers which still appear on our windowsills. At first glance, it seems that this strange flower wither quickly. And it’s still growing. 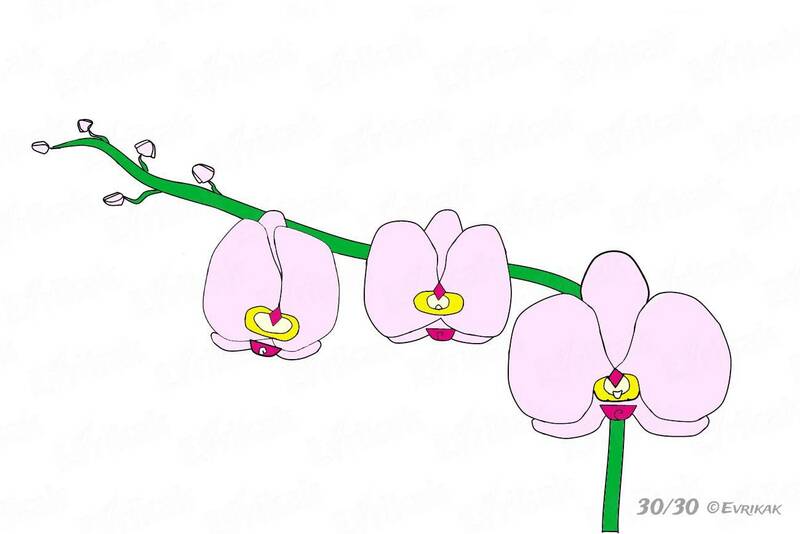 The fact is that the orchids are used to difficult conditions. In the tropics, they grow in the form of lianas which are fixed on a tree and parasitize there. And to prevent them from dying from the cold, the scientists have created a species which can grow in northern countries. 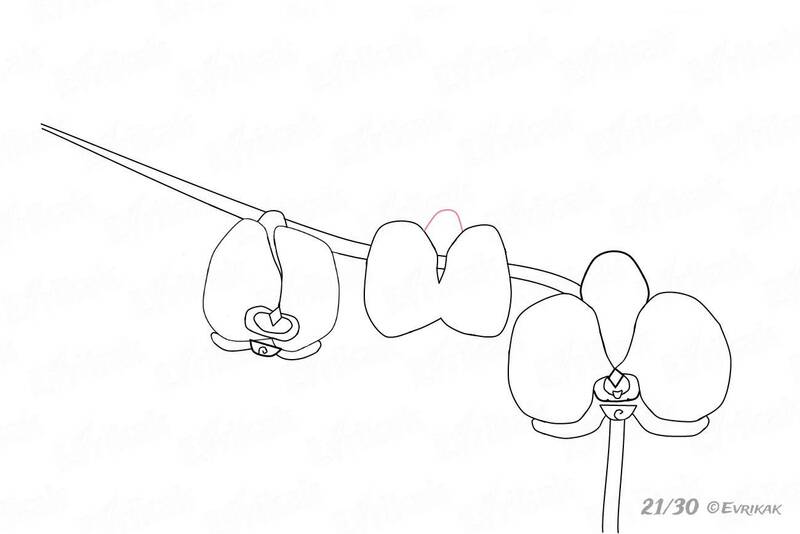 At first glance it may seem that it’s very difficult to draw this flower. There are so many details! But with our step by step instruction you will certainly succeed. Good luck! With the help of a smooth bend of the line, draw the stem which carries the flowers of orchids. Near the first line draw the identical one which indicate the volume of the stem. Start drawing the first flower. 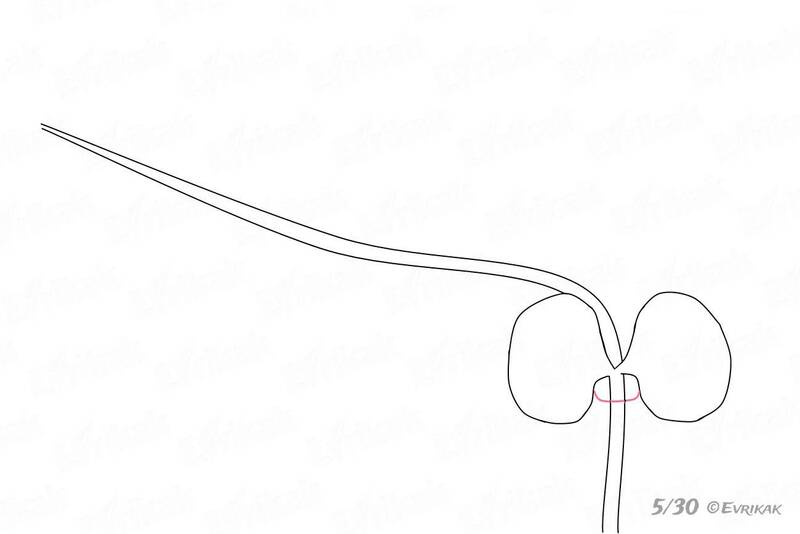 Approximately at the bend of the stem on the left side draw an uneven circle which is connected to the branch with the help of a thin appendage. Draw the identical petal on the right side. 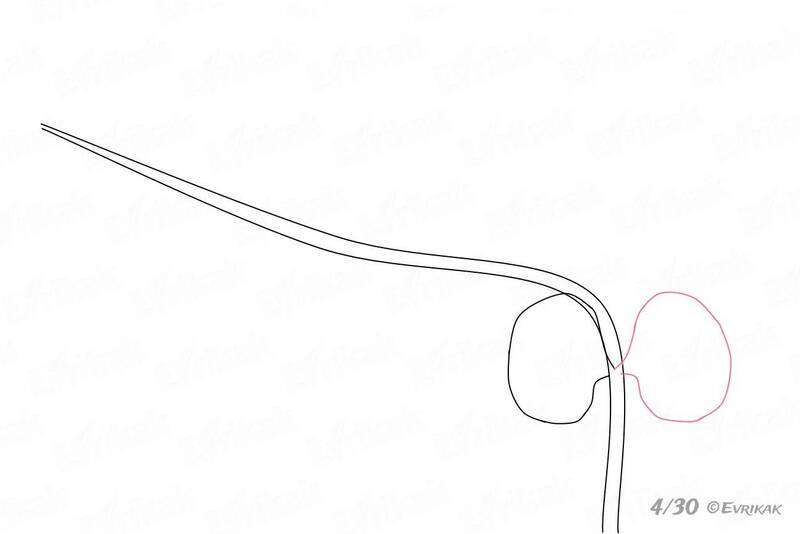 In the center under the petals draw a thin partition in the form of a short curved line. At the top center, draw the third petal. It differs from the first two because it’s not round but slightly elongated. Draw a small rhomb in the center. Carefully erase the lines which are inside the petals. Draw the middle in the form of a semicircle under the rhomb. 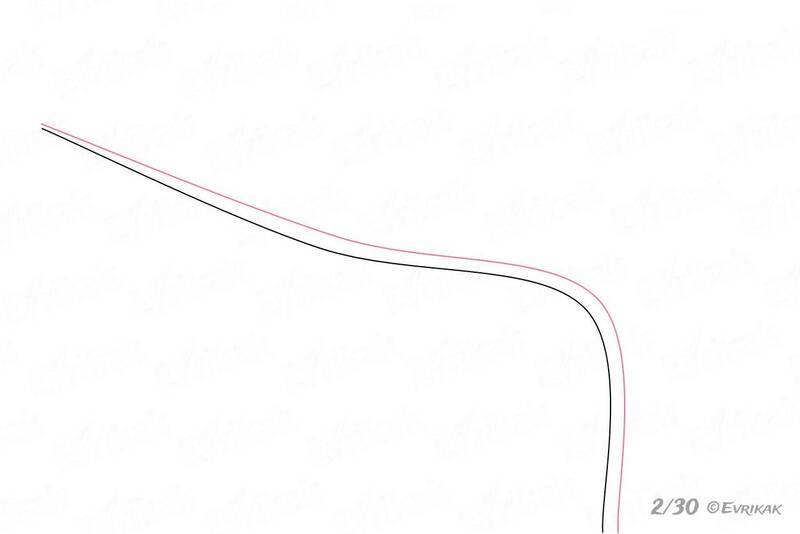 It’s attached to a small triangle with rounded edges. Next, correct the shape of the upper petal, giving it a more rounded shape. Draw the petals below. They differ because they are thin and curved. Draw the petals on the right and on the left under the big petals. The lower petals are interconnected. Therefore, draw a curved horizontal line between them. Erase the parts that are inside the lines and connect the petals. 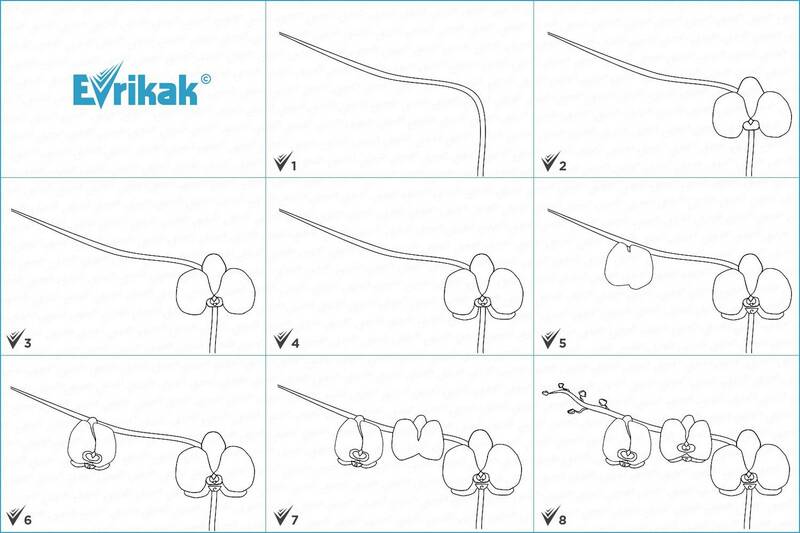 Draw a small detail which resembles a smile on the line which connects the lower petals. If there are some extra lines inside the “smile” – erase them and draw a twisted detail there. 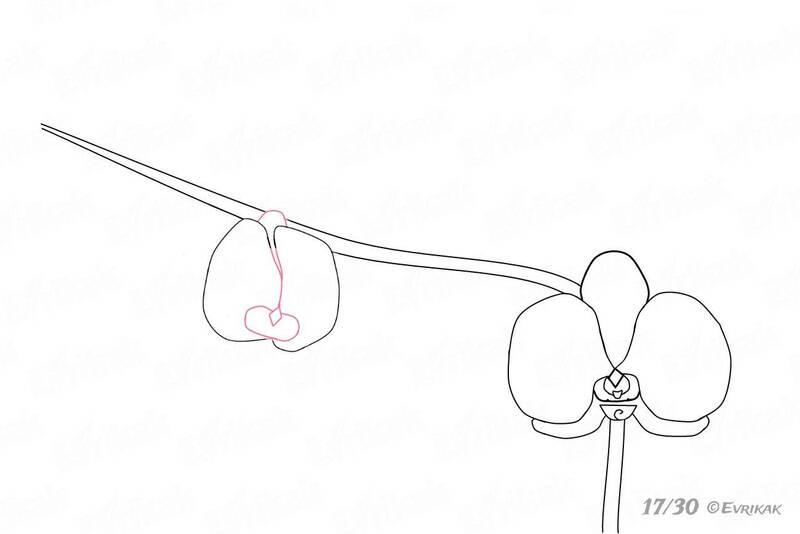 Start drawing the second flower. Just above on the liana draw an irregular figure with rounded corners which resembles a walnut core. Divide the petals of the flower in the center using an uneven line. Draw the third petal at the top, also draw the center. 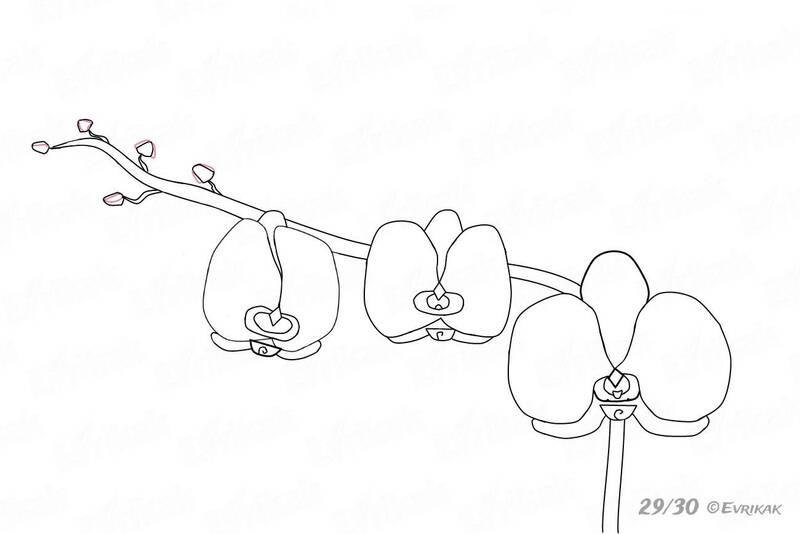 Start drawing the lower petals. Depict them in the form of small antennae with rounded edges. In the center, draw an irregular oval, and beneath it – a “smile”. 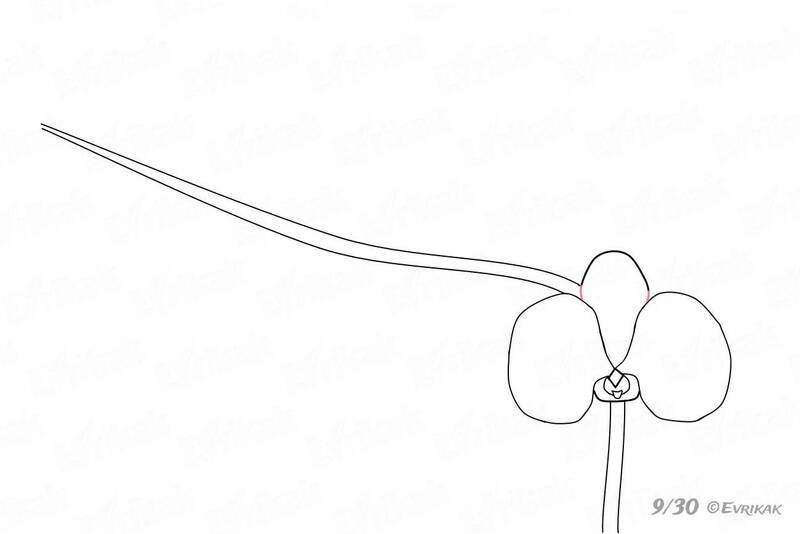 Draw the third flower between the first and second one in the form of two irregular circles which are interconnected. Draw the upper petal small and elongated. Carefully erase the part of the liana which is inside the petal. Draw the center in the same way as you did it when you were drawing the first two flowers: an elongated circle and a rhomb. 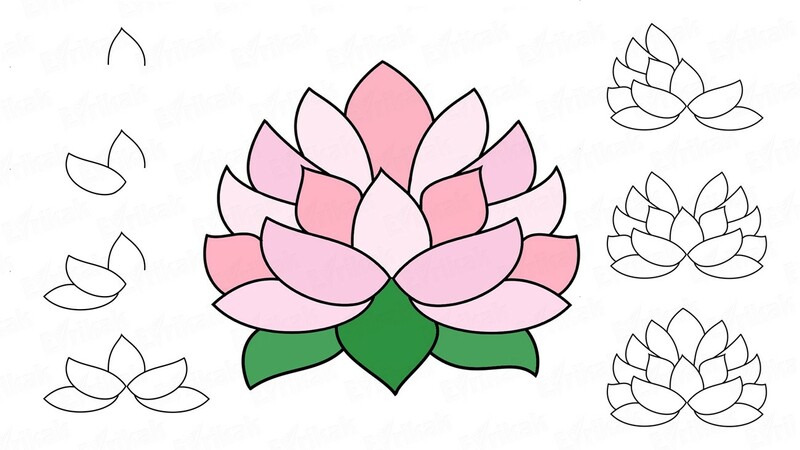 Draw the petals at the bottom. Draw another circle in the center and “a smile” at the bottom. Erase unnecessary or extra lines. Now finish the upper part of the liana. The two lines must be connected. 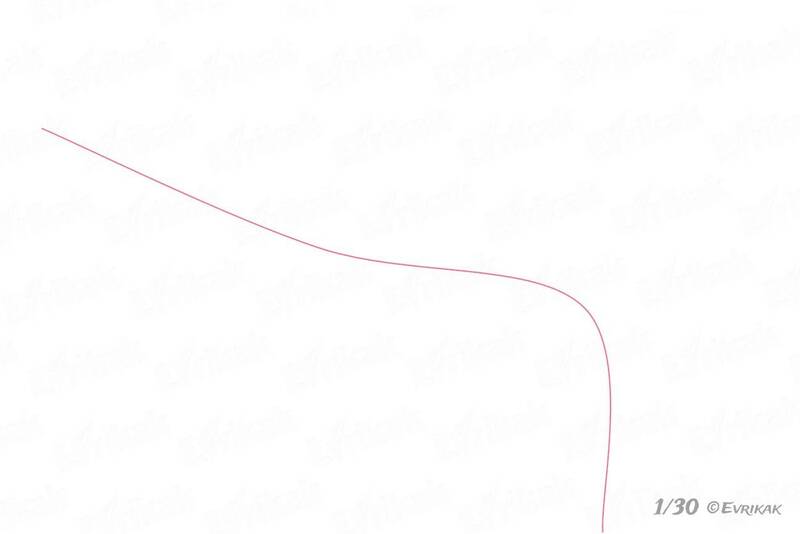 Draw a few thin curved twigs on the liana. Draw the small buds on twigs which resemble the mushrooms. Add thin lines to indicate the petals. 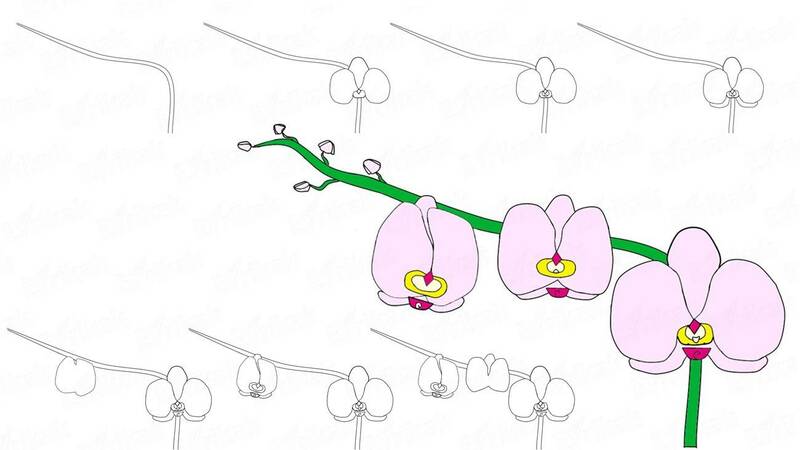 Now you can see an orchid of almost any color or even several colors. You can color the flowers as it’s shown in the picture or you can color them as you want together with your child.